A week after Ethiopian Airlines flight 302 crashed in a field, some families still can’t fully accept what happened. The loss was so acute — shattering their world — and they still expect their loved ones will return. 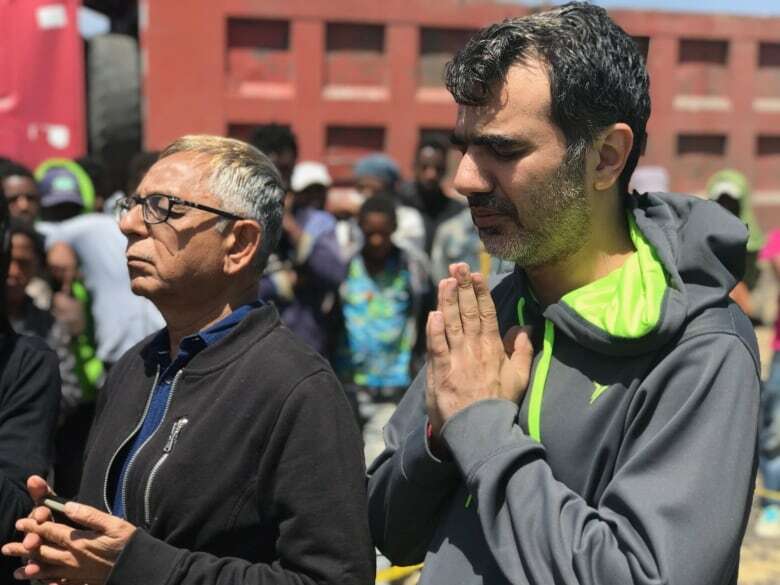 “There was always a thought behind in my mind that maybe they are not on the flight; there’s always a bit of hope,” said Manant Vaidya, standing 150 meters from the place where the aircraft plunged to the ground killing six members of his family. But staring into the site of the crash, 65 kilometers southeast of Addis Ababa, Ethiopia, begins to chip away at the wall he’s put around his feelings. On Sunday, he and his wife travelled 11,000 kilometres on Ethiopian Airlines, starting from their home in Brampton, Ont., and following the same routing his other family members took one week earlier. 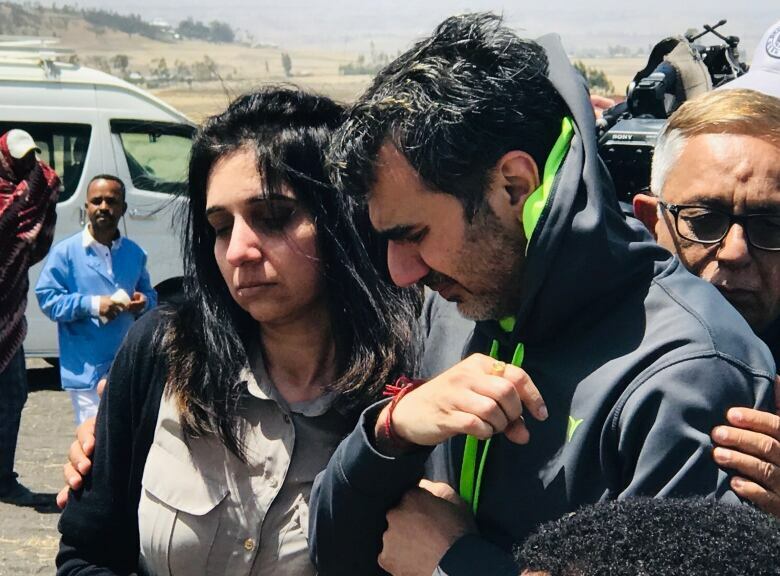 In Addis Ababa, his family members had transferred onto flight 302 bound for Nairobi, which plunged into the ground six minutes after take off. His world shattered last Sunday. Ashka Dixit, 14, Anushka Dixit, 13, Prerit Dixit 45, and Kosha Vaidya, 37, were on a family holiday over spring break with Vaidya’s parents Pannagesh Vaidya, 73, and Hansini Vaidya, 67. They were going to Kenya where Kosha was born; they had booked a safari. Of the 18 Canadians killed on the flight, the Vaidya family lost six. After a 17 hour flight, refusing to rest, Vaidya and his wife climbed into a bus for the two hour trip out to the crash site. Like so many who’ve travelled out to the scar on the landscape, he wants to reclaim something from his family who disappeared into the field. “Even if the bodies are in bad shape, we are willing to go there and get some closure,” he said, speaking of a place where Ethiopian Airlines has stored remains. But so far, none has been reclaimed. The airline said it could take up to six months to match small fragments from the site, and families should prepare for funeral rituals without bodies. The crash of the Boeing 737 Max 8 plane took the lives of 157 people from 35 countries. Hundreds of families have ventured out to the site over the last week. Each living their grief differently, but sharing the common desire to go home with something tangible; many have been disappointed. Vaidya’s wife Hiral said she expected from news reports she would see passengers’ belongings in the field and maybe recognize the clothes her in-laws were wearing. Instead, she scooped up only earth in a plastic baggy. The couple is going to Mumbai this week for funeral rituals. Over the weekend, data from the plane’s cockpit recorders was downloaded at labs in France. Ethiopia’s transport minister said the data had “clear similarities” to the Lion Air crash in Indonesia last October, and a report could come in a month. But the cause of the crash is not a priority right now for the Vaidya family. Except for a direct message to airline authorities. “I’m just hoping the Canadian officials and Ethiopian Airlines be transparent with us — let us know, ” he said. In a week, the area around the crash site has changed dramatically; it has shrunken in size and it’s now surrounded by the beginnings of a wooden fence interlaced with barbed wire. Searchers have combed the ground numerous times for debris and body fragments collected for DNA testing. The rose wreaths and an arbour are losing petals and shriveling in the hot African sun; the scene is losing some of its reverence. But still families come by the bus load, to mourn and to face the void created in their lives. Given the last seven days, Manant Vaidya is incredibly strong and eloquent. “I have to be strong for my kids and my wife,” he said. “I’m pretty sure they are watching me right now,” he said of his parents who died in the crash. “And if I’m not strong, they’re going to be mad,” he said, with his wife nodding in agreement.